Fr. Rene Esoy, SSS has been appointed as Superior of the Blessed Sacrament Community in Dublin, Ireland. He made his Profession of Faith before Fr. 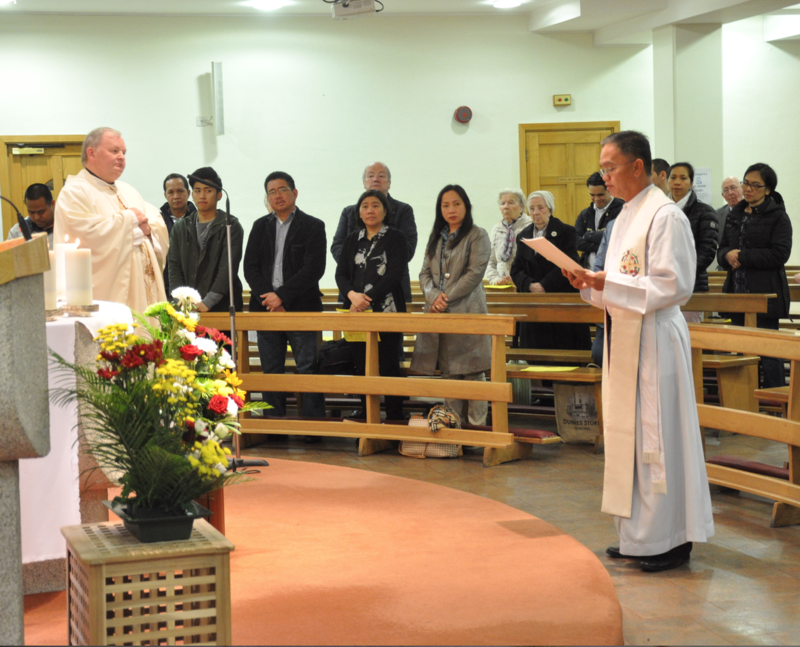 Peter Dowling, SSS, Provincial Superior of the Province of Great Britain and Ireland, at the 11.00 o’clock Mass last May 26, 2016. At the end of the Mass Fr. Rene expressed his gratitude to Fr. Peter and Council for their trust and confidence on him. He assured them that he will try his very best to fulfil his responsibilities as the new local superior of Dublin community. He asked everyone to pray for him. We congratulate Fr. Rene on his appointment. Please keep him in your prayers as he assumes this new set of responsibilities.